This is a factory finished model of the Honda NSR500 '84 No.1 bike. 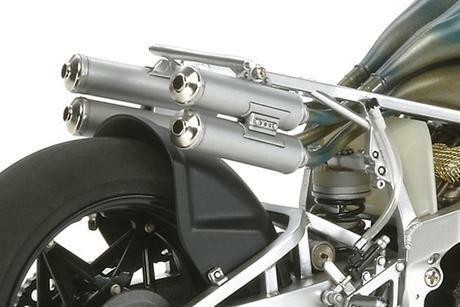 Tamiya Factory Finished models are hand built and painted by Tamiya’s expert in-house craftsmen. 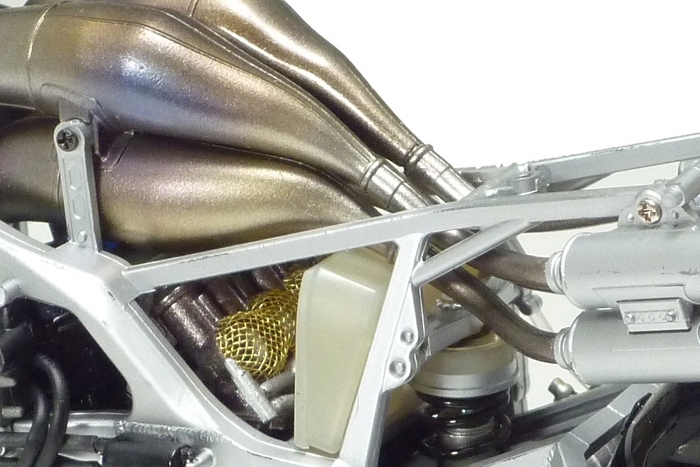 During the 1983 World Grand Prix season, Honda took the championship with the NS500 but it was clear that the power from the 2-stroke V3 engine would be insufficient for the next season. 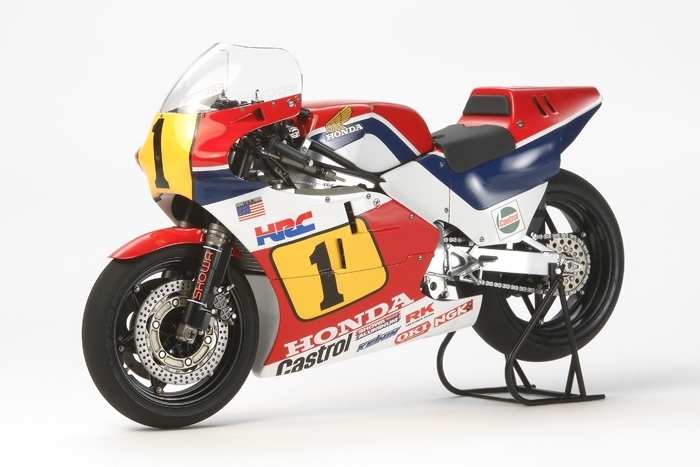 This led Honda to create the NSR500, which was powered by a more powerful V4 engine. 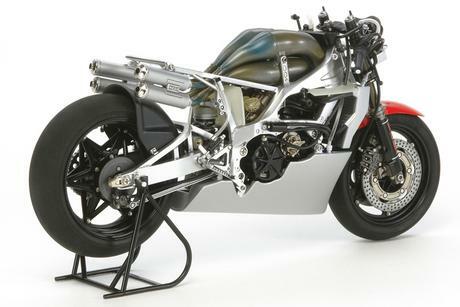 It also featured a unique aluminum frame to house the engine and a radical layout in which the expansion chambers and the fuel tank were positioned above and below the engine respectively. The 1984 season was challenging but the following season saw the NSR500 demonstrate its excellent performance to win the championship. Special Feature 2 Vinyl tubing depicts fuel pipes and wirings. Special Feature 3 Includes a color brochure giving information about the bike.